Although the Seal Beach clothing line is hoping to make a splash with board shorts, the best summer additions from Affliction are cargo shorts. The wildly detailed but streamlined look removes most of the excess bulk associated with cargo shorts for a cleaner, fitter look. Unlike most cargo shorts, it all works together. Affliction took a slim fit shorts cut and added side slash pockets and back welt pockets for a relaxed fit. Fit is the operative word as most cargo shorts have added bulk instead. Affliction streamlines the cargo short for a better fit. Taking what they have done so well with denim and applying it to shorts is what the summer needed. These shorts are comfortable but rugged, made with a durable 100 percent cotton fabric. There are also some signature stylings such as reinforced stitches, metal buttons, and ornate rivets. These simple embellishments help the shorts stand out, making them more wearable than board shorts but just as comfortable. Green isn't the only color. Although each variation carries different stylings, Affliction adds additional character with charcoal, black, and steel gray. 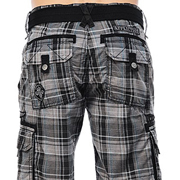 But if you want something that stands out and is noticed even more, Affliction added plaid cargo shorts into the mix. With a slim fit and 22-inch inseam, the plaid prewashed fabric adds something more to cargo shorts. It also gives plain plaid shorts the extra carry space they were missing, but without the overtly bulky pockets. The Take Back Plaid Walkshort is one of the sharpest deviations from the solid colors, but the darker blue Mystery Knowledge shorts work too. Either provide a distinction between the original 1940s design inspired by the military and adopted for hunting. The shorts are rugged, but with an urban sense. Another interesting aspect about the new line of cargos from Affliction is how understated the brand has become on some products. The change isn't only limited to shorts. Many recent looks have placed the emphasis on the design element over the brand, which will be smart over the long term. A few additional graphs about Tom Atencio. 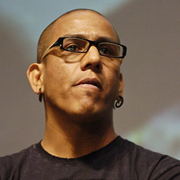 Affliction Clothing came on the scene in 2005, with an emphasis on tribal tattoos, skeletal jewelry, and a toughness borrowed from mixed martial arts, metal, motorcycles. and muscle cars. In some ways, it was more under the radar than Ed Hardy and more accessible than Von Dutch. Tom Atencio really built the business with Todd Beard and Eric Foss out of the design industry and then shifted toward clothing by sponsoring mixed martial arts competitors. As more competitors requested sponsorships, Affliction quickly grew into clothing readily associated with the sport. Ask him why he thinks he is on top, and Atencio points to partnerships first and all other things associated with the brand second. This includes smart marketing, quality products, and innovative designs. The company even owns its own manufacturing facility, which allows it more design flexibility as well as the ability to put as many as 20 to 30 new designs into production every month. 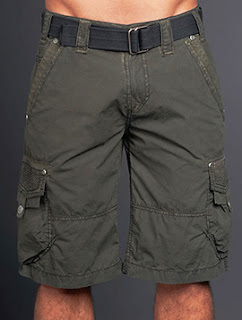 The Slim Fit Cargo Shorts From Affliction Cut 8.5 On The Liquid Hip Richter Scale. For anyone who who is closer to lean than bulked, the Affliction cargo shorts are a welcome fashion addition as standard cut cargoes are typically too baggy. Even those that aren't bulky have too much pocket material. The slim fit cuts give the body a much more tapered look, especially when wearing a shirt that might be cut comfortably bigger. 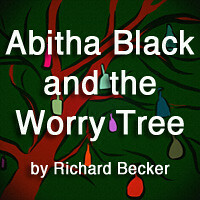 Sometimes you can find Affliction from other sources, but always be alert for knockoffs. So while it is often useful to visit other sites for price comparisons, consider visiting the clothing line's buy direct site, which eliminates any concern. On average, the cargo shorts are about $85. Affliction also recently added sweat and fleece shorts for about $55. Occasionally, you can find some savings on Amazon, especially on previous lines.